OSWEGO TOWN – Andrew Nelson, former director of SUNY Oswego’s Rice Creek Field Station, will deliver a talk on invasive plant species and lead a walk to view some of them, starting at 6:30 p.m. June 28, at the college’s Fallbrook Lodge. 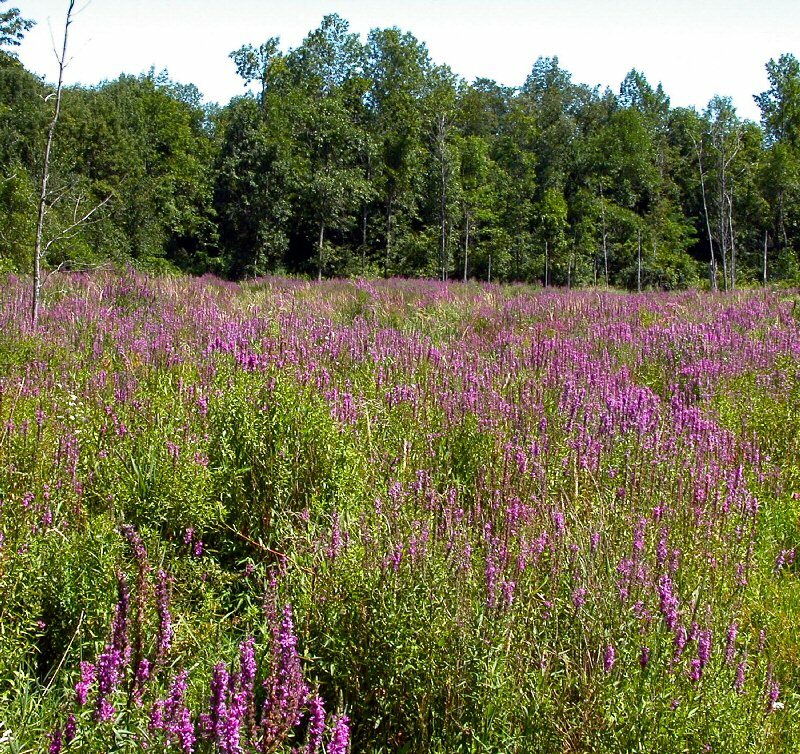 Andrew Nelson, a botanist and former director of SUNY Oswego's Rice Creek Field Station, will discuss purple loosestrife (pictured) and other invasive plant species at the college's Fallbrook Recreation Center lodge on Thompson Road. The presentation, part of the Rice Creek Reflections series, will introduce Nelson’s booklet for identifying invasive plant species of importance to Rice Creek, review the concept of invasive species and discuss management alternatives. While the talk will take place at the college’s Fallbrook Recreation Center, south of Rice Creek on Thompson Road, the walk will be on trails in Rice Creek that remain open through next summer during the ongoing construction of a new field station. 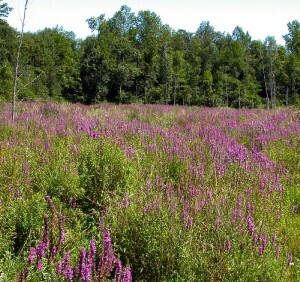 Nelson, a botanist and, from 1994 to 2008, director of the field station and its 400 acres of mixed terrain, will discuss and show invasive plant species such as purple loosestrife, oriental bittersweet and pale swallow-wort. For more information, contact field station personnel at 315-312-6677.